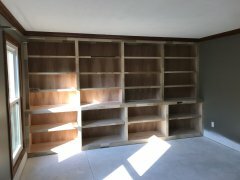 New bookcases for a home in Gahanna, Ohio. 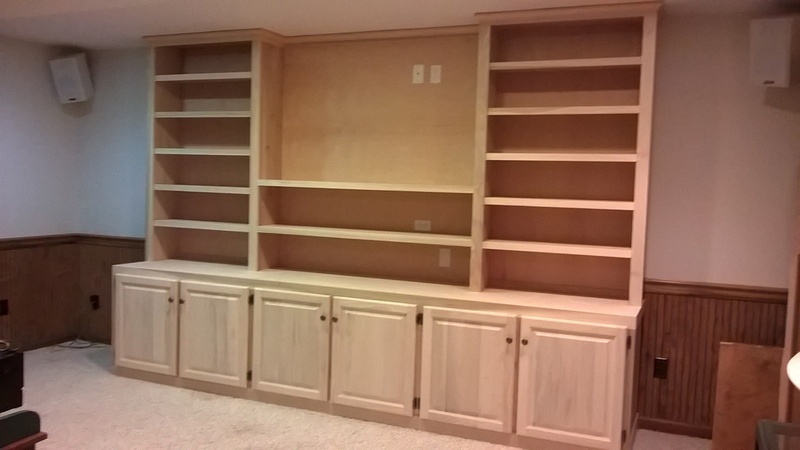 If you need more storage space in your home give us a call! New custom built bookshelves for a lovely home in Upper Arlington, Ohio. 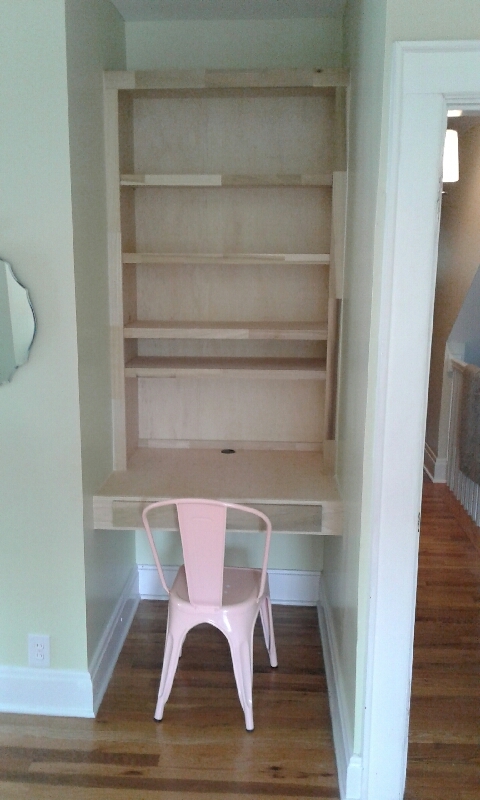 Bookcase and desk nook for a Bexley, Ohio home. 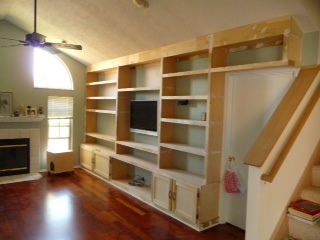 The additional shelving can increase the amount of storage space in your home. 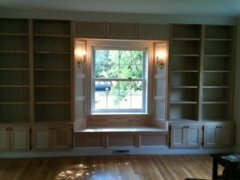 Not only are bookshelves beautiful they are practical as well. 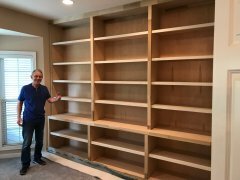 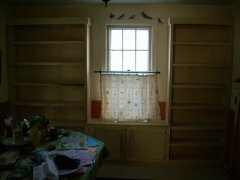 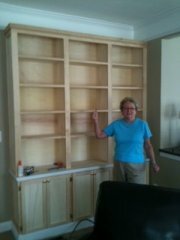 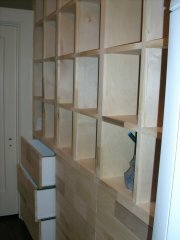 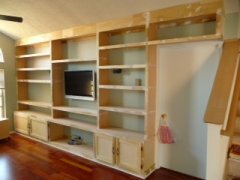 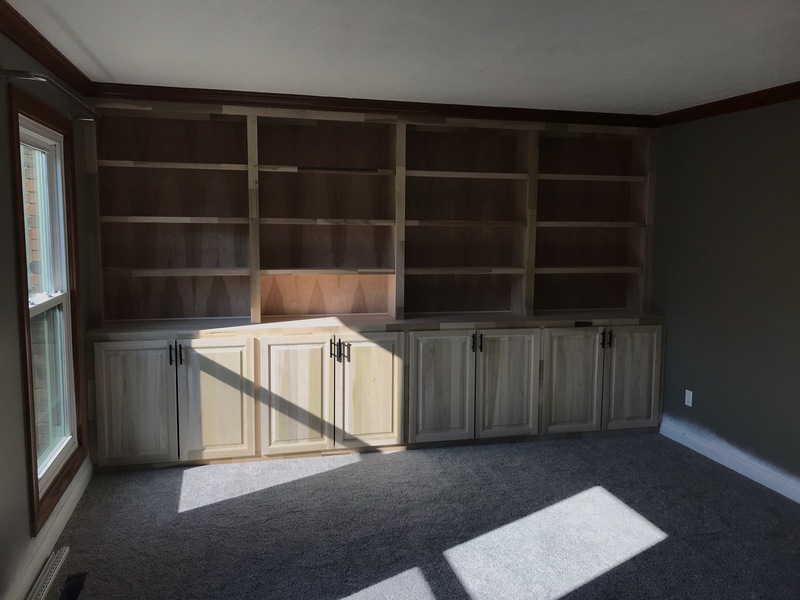 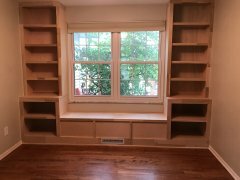 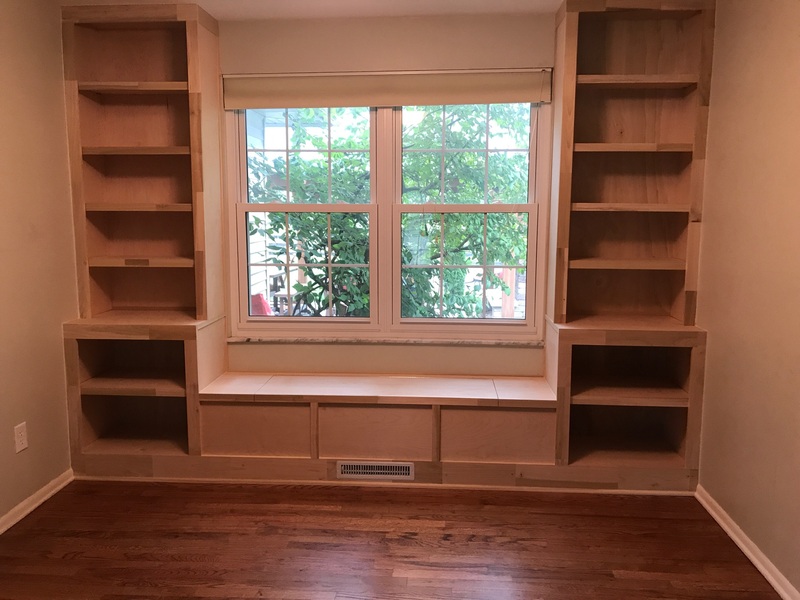 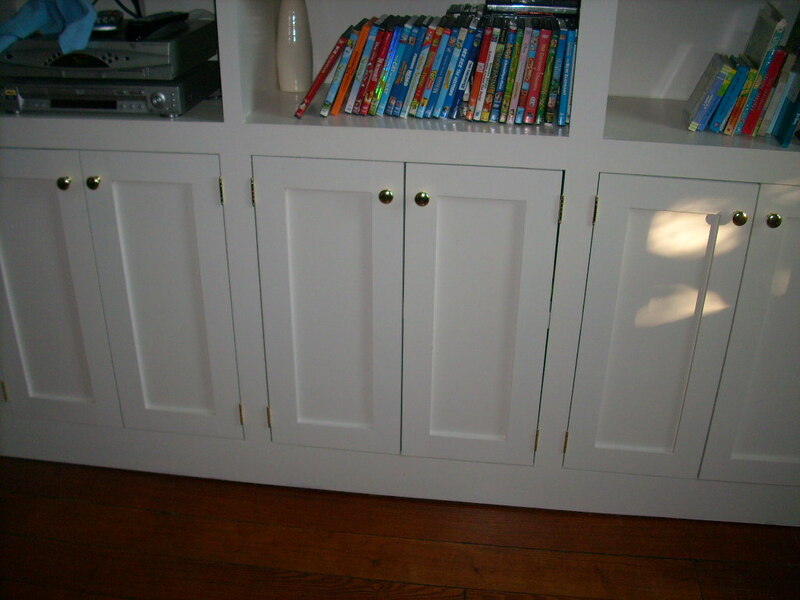 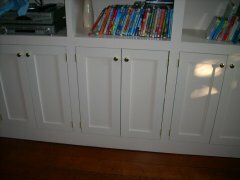 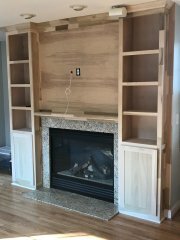 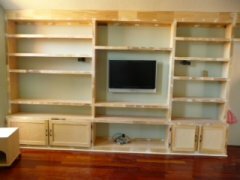 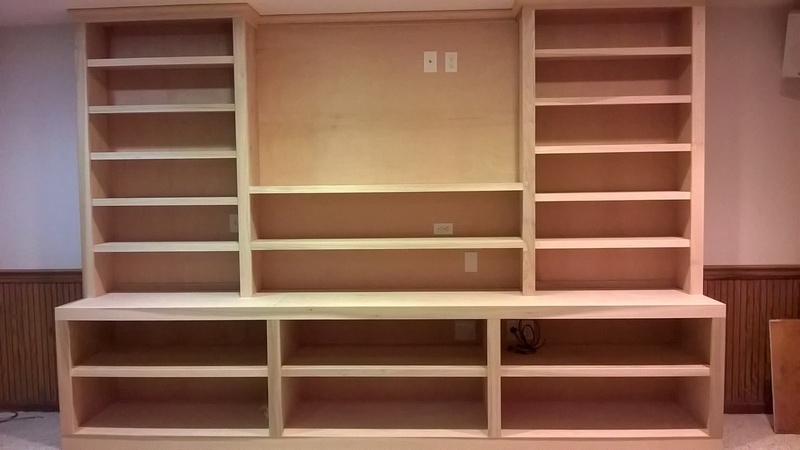 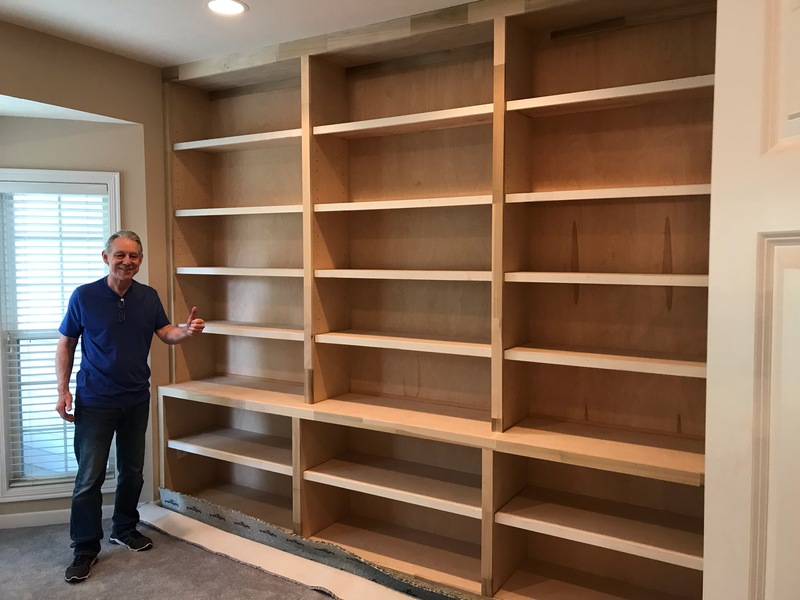 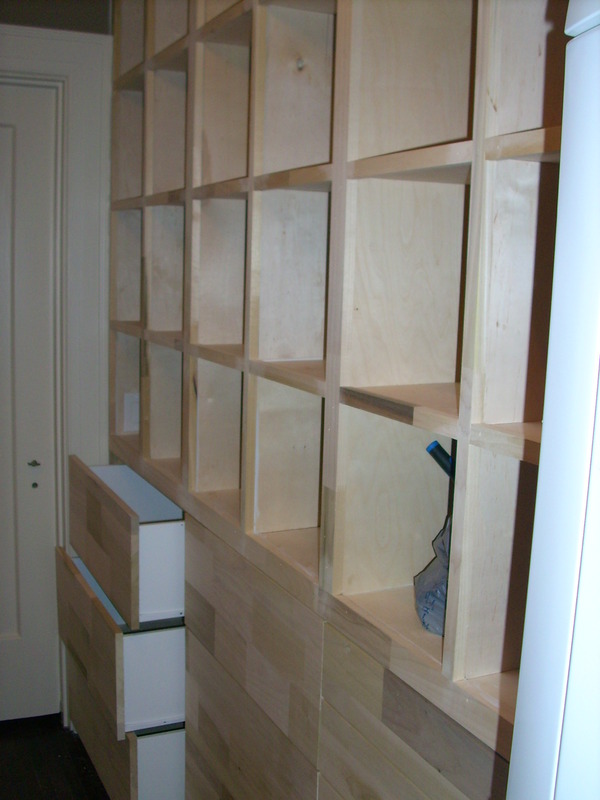 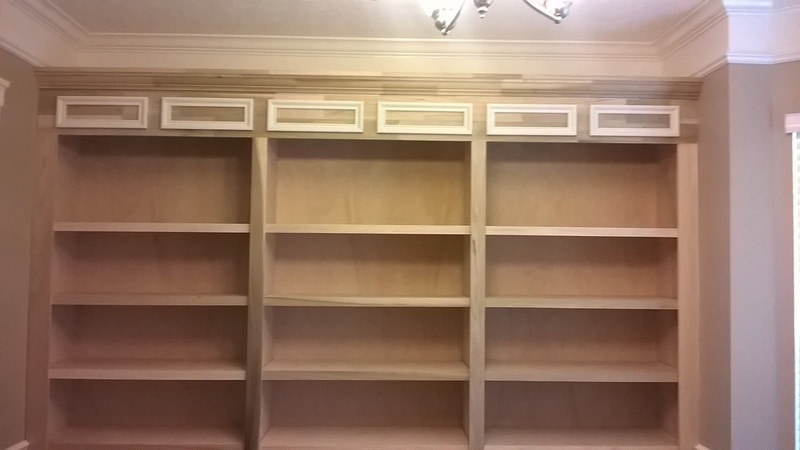 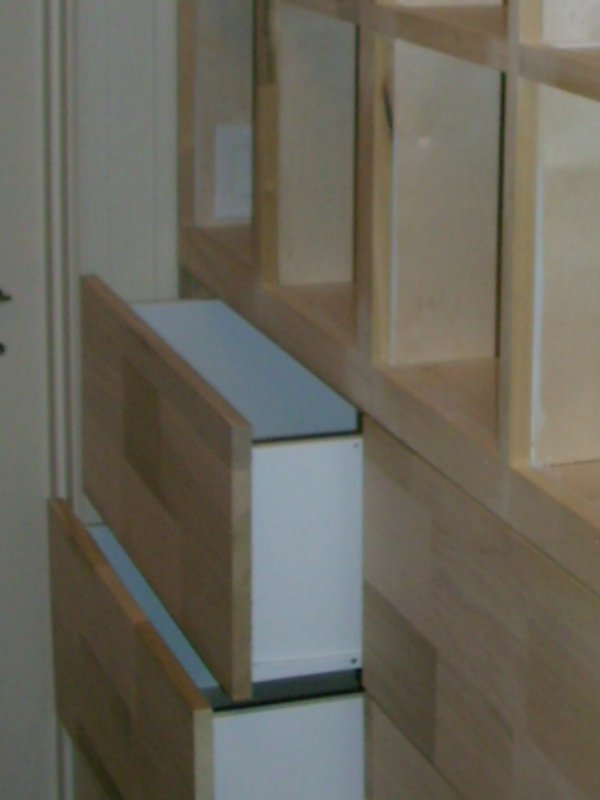 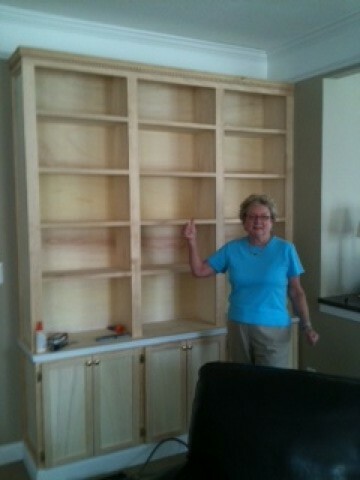 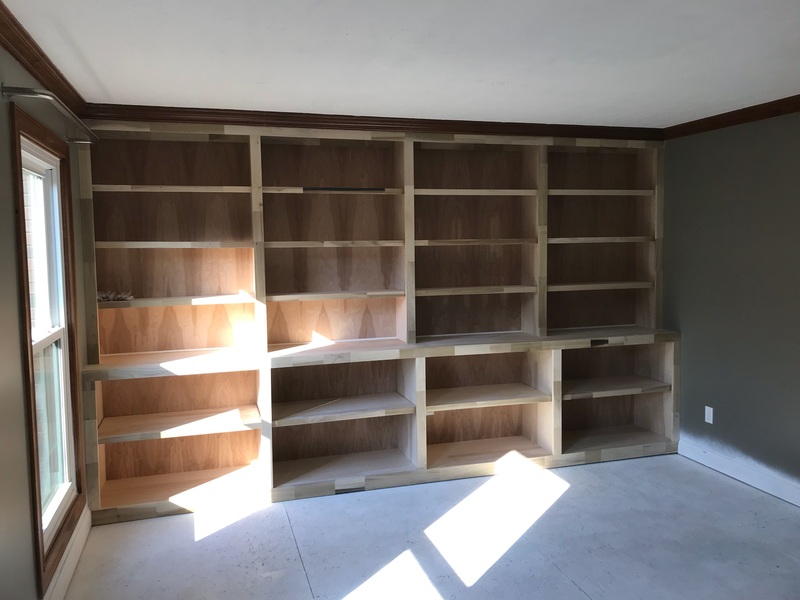 When you need custom storage space such as a bookcase built call in the best at Dave's Carpentry. 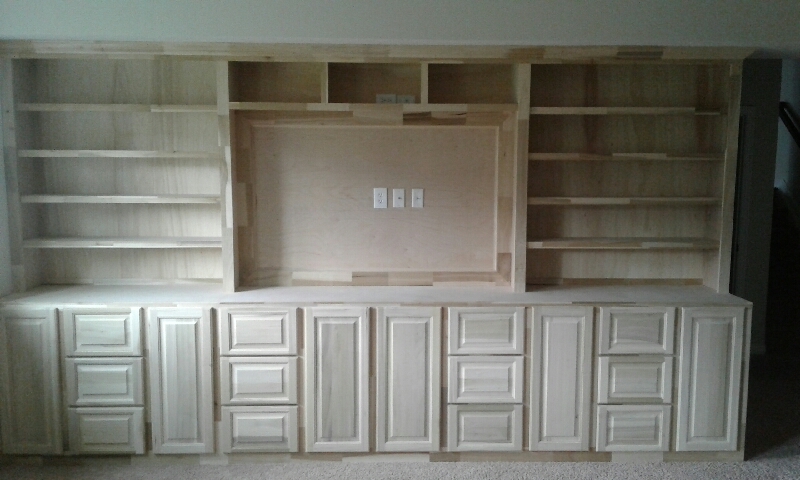 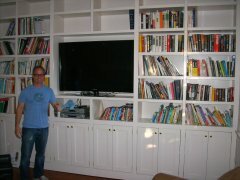 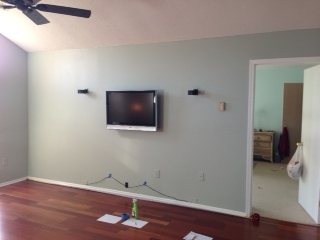 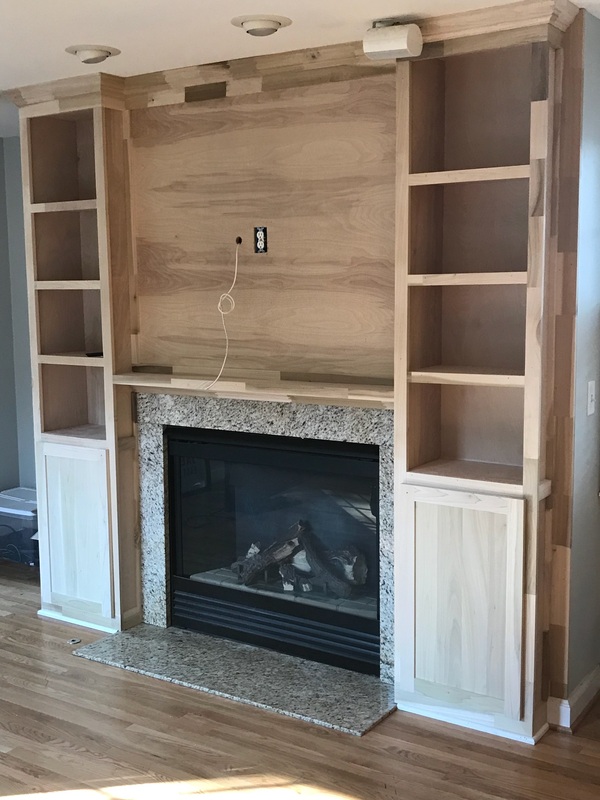 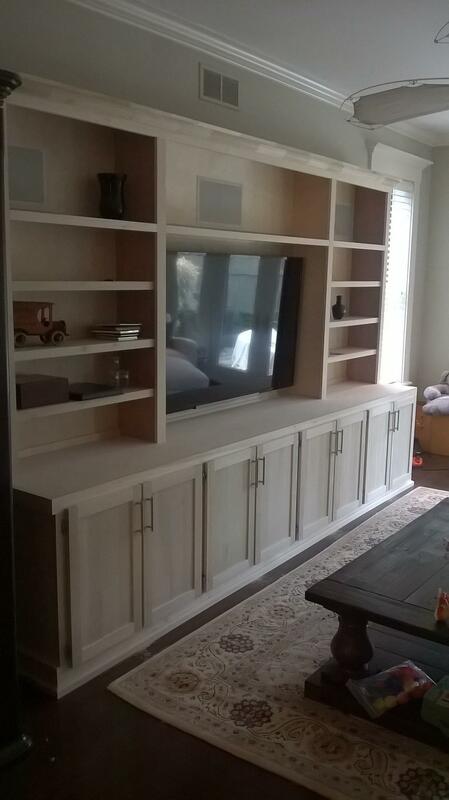 The finished entertainment center, custom carpentry at it's best. 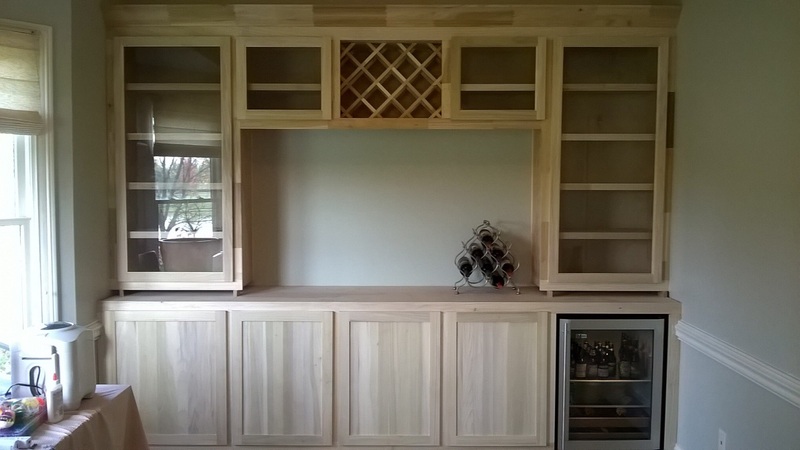 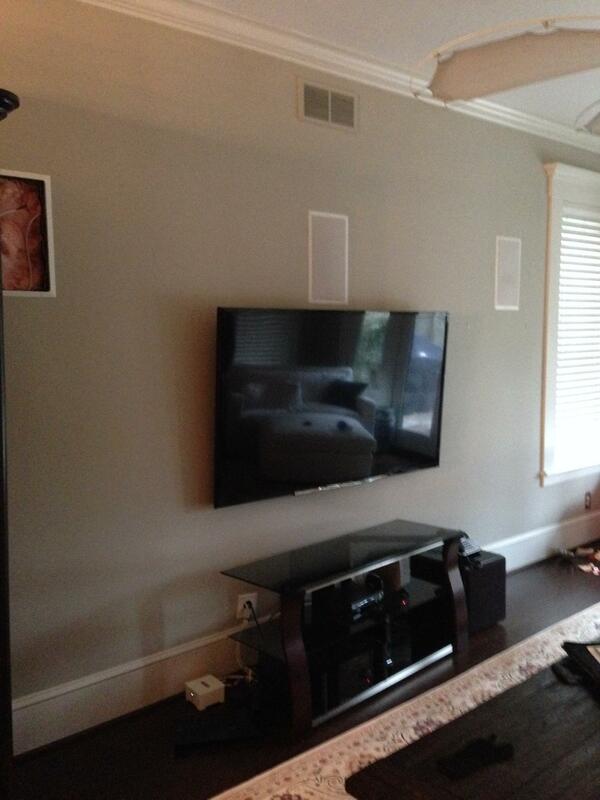 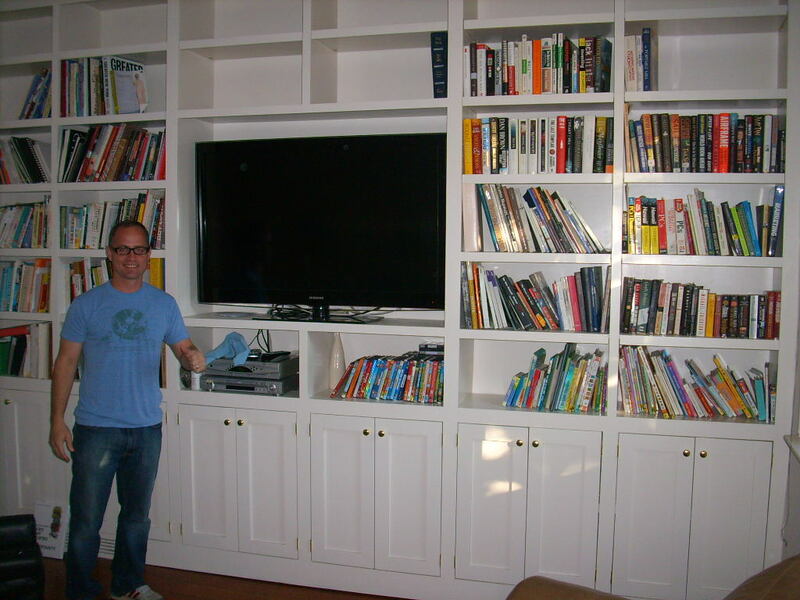 Why buy an entertainment center when you can have one custom made for your home by the Columbus Carpenter? 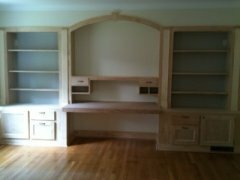 Call Dave's Carpentry for your next project. 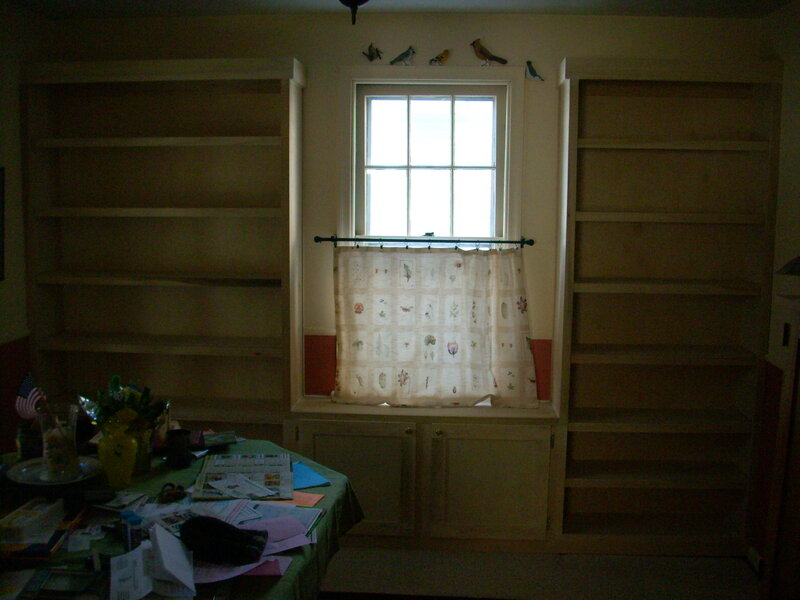 As you can see we provided an enormous amount of additional shelving space. 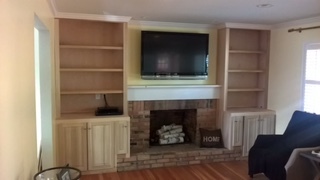 Call us to see how we can help you with your home project.